Fremont police have released photos of a man who allegedly got into a fight with another customer outside of a Denny's restaurant early Sunday morning. Officers responded at about 2:25 a.m. Sunday to a report of a fight at the restaurant at 5280 Mowry Ave.
A customer had got into an argument with restaurant employees and another customer tried to intervene, and a fight ensued just outside the entrance of the restaurant, according to police. The customer who tried to intervene suffered what police called "significant" facial injuries during the fight, and the suspect fled and remains at large, police said. The injured man initially declined treatment at the scene but was later taken to a hospital by family members. 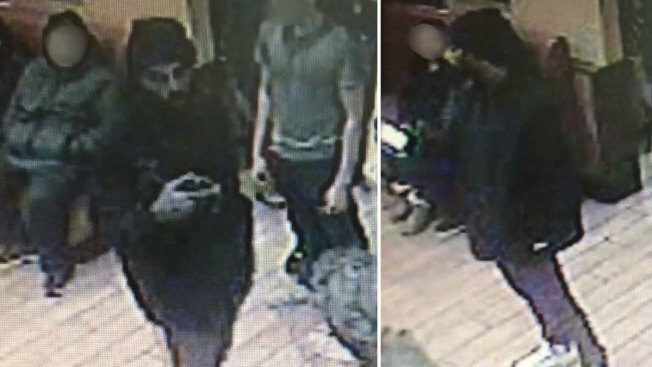 Police have released surveillance footage of the suspect inside the restaurant just prior to the fight. Anyone who recognizes the man is asked to call the police non-emergency line at (510) 790-6800, ext. 3, email Officer Paiva at mpaiva@fremont.gov or text a tip to 888777 with "Tip FremontPD" at the start of the message.